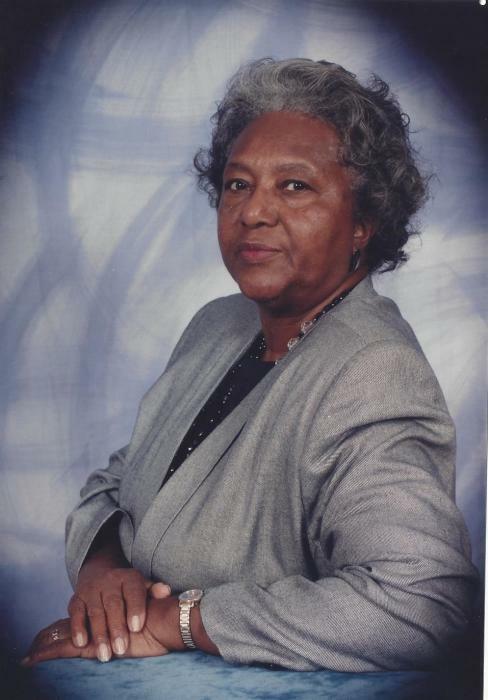 Mother Margaret Wade, 86, departed this life Tuesday February 12, 2019 in Charlotte, NC. Funeral services are scheduled to be held at the Bethlehem Baptist Church, Marion Monday February 18, 2019 at 1:30 pm. She will be laid to rest in the Devotion Gardens Cemetery. “A time to be born” Margaret Lee Harlee Wade was born to the late Harry and Christine Thomas on June 18, 1931, in Marion, South Carolina. “A time to love” Margaret was joined in holy matrimony to the late James W. Wade. No date. Erase previous blank space. “A time to plant” Their love was shared with their children reared in their home Barbara Jean, Stephanie, Loretta and Jammie Martel. They were both parent figures in the community, nurturing a host of young people to include siblings and family members. “A time of conversion, service and ministry” Margaret was converted and baptized at an early age and became a member of the Bethlehem Missionary Baptist Church in Marion, South Carolina. She served faithfully in several ministries to include the Widows Ministry, Senior Choir, Gospel Choir, Missionary Society, Pastor’s Aide, Hospitality and Usher Board until her health declined. “A time to build up” Margaret’s early educational development took place at the Marion County Training School, Marion, South Carolina. “A time for reward and replenish” After more than thirty years of service to Coca Cola Bottling Company in the quality control department, Margaret retired in 1991. “A time to die” She departed this life on February 12, 2019 at Asbury Health Rehabilitation Center, Charlotte, North Carolina. “A time to mourn” Margaret’s home homegoing has and will continue to have a tremendous and lasting impact on many lives. She leaves to cherish her memory, her children Barbara J. (Corbin) Luckey, Charlotte, NC, Stephanie (James) Legette, Florence, SC, Loretta F. McCray, and Jammie (Steven) Samuels of the home; grandchildren, Derrick Cooper, Darryl Cooper, Devon Cooper, Jamika Wade all of Charlotte, NC, Christina Samuels of the home, Melissa Ford of Bronx, NY; great-grandchildren, Gabrielle Davis and Ariah Cooper of Charlotte, NC; brother Charles (Ann) Thomas of Ga., Wilbert (Lou) Thomas of California; sisters Channie Lee of Marion, SC and Bertha Emma Neal of Philadelphia, PA. She was preceded in death by sisters Sallie Fryson, Cleo Anderson, Myrtle Johnson and brother James Thomas; brother in law, Jimmy (Thomasina) Wade of Bronx, NY; sister-in-laws, Gracie (Clyde) Jones of Bronx, NY, Geneva Woodberry of Philadelphia, PA, Joe (Dorothy) Wade of Augusta, GA, Janet Wade of Charleston, SC; special daughters, Teresa McCummings and Elaine Perry;a special son, James Cooper; special friends and neighbors , Virginia E. Martin, Claretha Conner, Christine B. Washington, Dorothy Lee Williams, Ruth Gregg, Ethel Carrigan, Illa Hickson, Margaret Hughes and Lillie Reid; and many loving and devoted nieces, nephews, cousins, other relatives, special neighbors and friends.